Discounts available: Adults £8 Students £4 Family £20. until 6 pm on the evening before the concert. No commission will be charged on the ticket price. 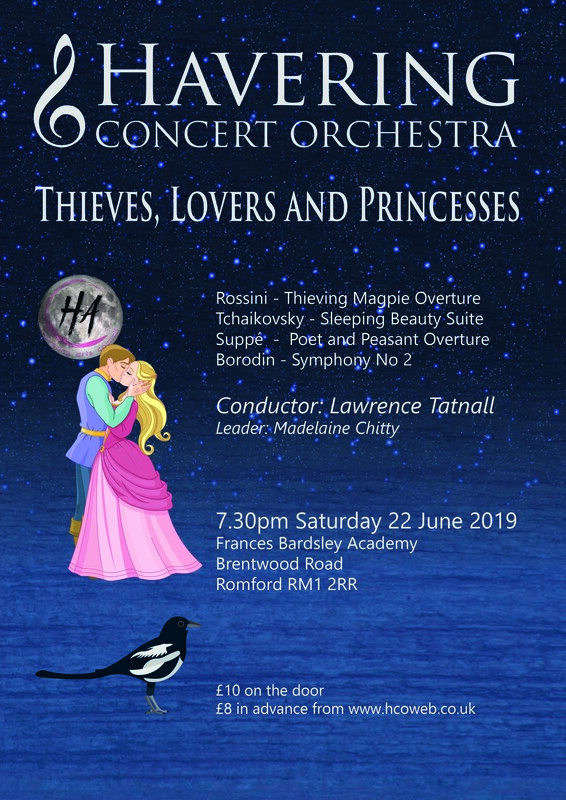 The Havering Concert Orchestra is a community orchestra serving the London Borough of Havering and surrounding areas. We exist to provide opportunities for local instrumentalists to practise and develop their musical skills, and to provide entertainment for members of the public. We have adult members of all ages, and endeavour to make our rehearsals and concerts approachable and friendly occasions. The orchestra works with local soloists wherever possible, and has a particular commitment to offering local young musicians solo performance opportunities. 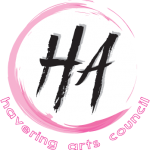 We have worked with several past winners of the Havering Young Musician of the Year award. 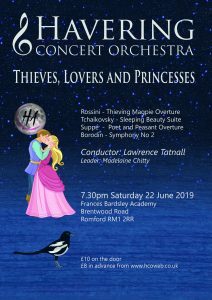 The Havering Concert Orchestra is a member of, and is supported by, the Havering Arts Council. We are also affiliated to Making Music. For all general enquiries please contact the secretary by email. For all ticketing enquiries please contact us by email. For all publicity enquiries please contact the publicity committee by email. For issues and comments about the website please contact email.